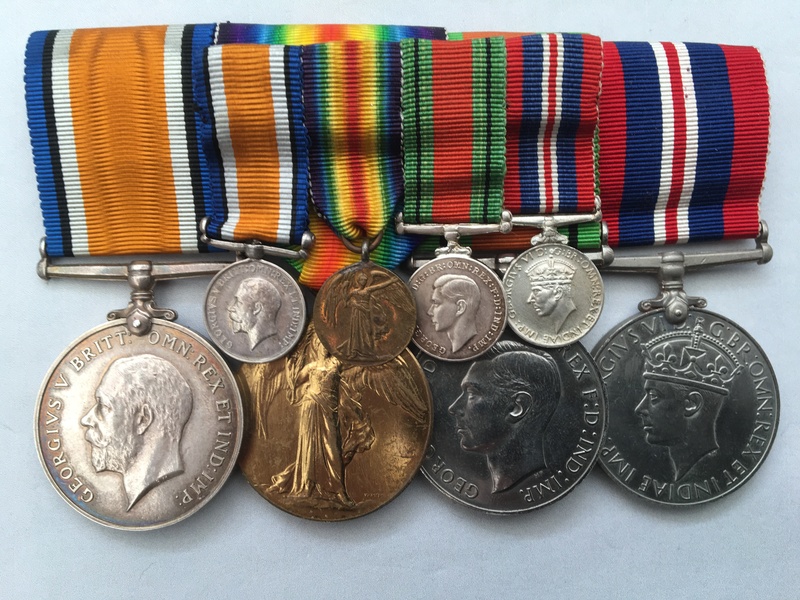 A WW1/WW2 medal group awarded to 78568, Gunner Frederick A. Garland, who served with the Royal Garrison Artillery during WW1 and given that he was issued a WW2 British War Medal and Defence Medal must also have undertaken some form of home defence service during WW2. 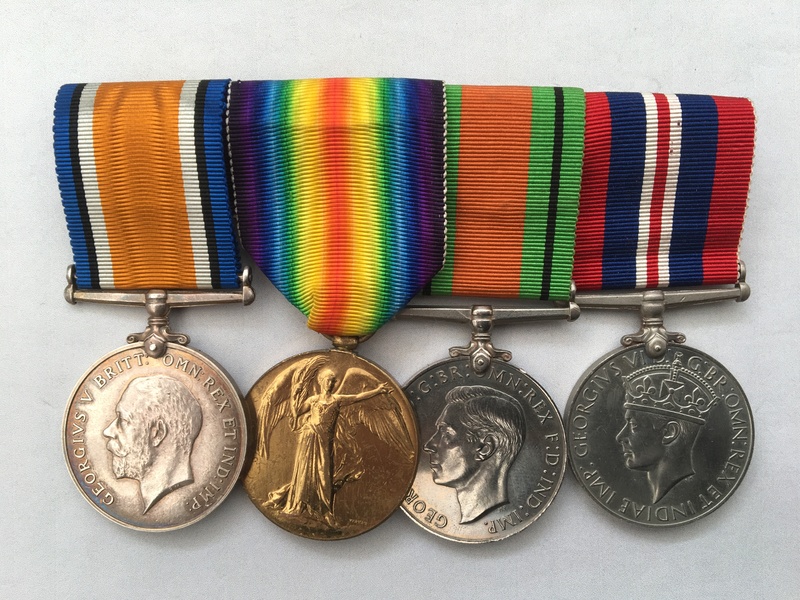 I have not been able to locate any service records to this man, but his Medal Index Card can be viewed by clicking on here (if you have access to Ancestry) although a paper copy will be provided. The history of the Royal Garrison Artillery can be viewed by clicking on here. 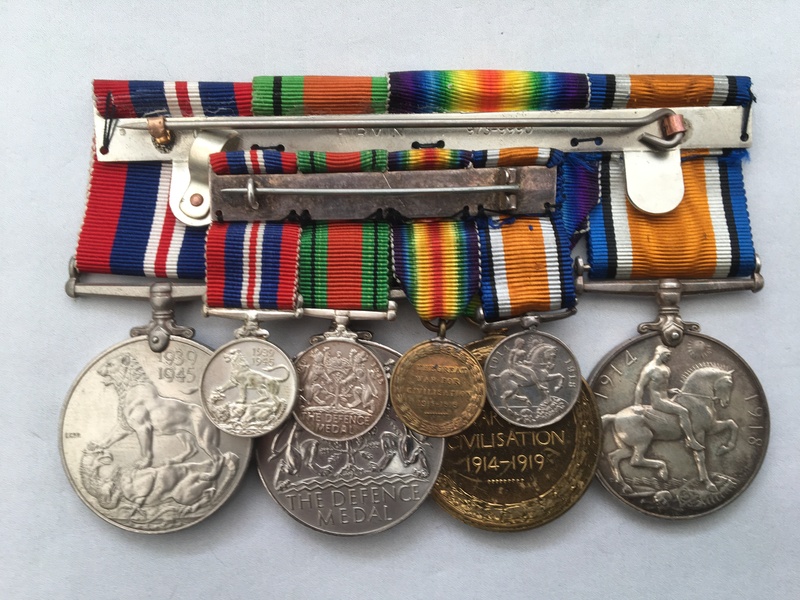 British War Medal and Victory Medal named to 78568 GNR. F. A. GARLAND. R. A. 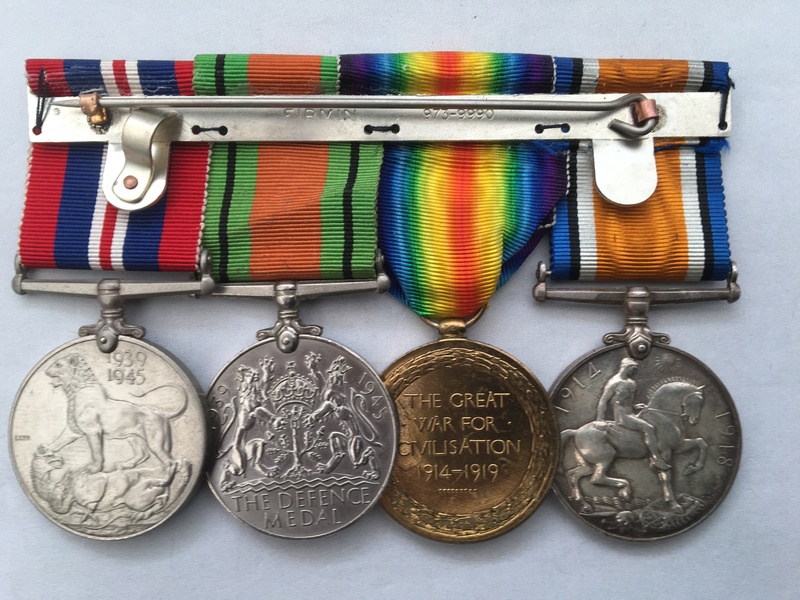 The medals are swing mounted with their original ribbons and come with a matching set of contemporary miniature medals that are also swing mounted with original ribbons.